These figures represent “gross job creation,” meaning the absolute number of jobs that have been added. A thorough study of the German market estimates a net job creation of around 80,000, rising to 100,000 – 150,000 in the period from 2020 to 2030. 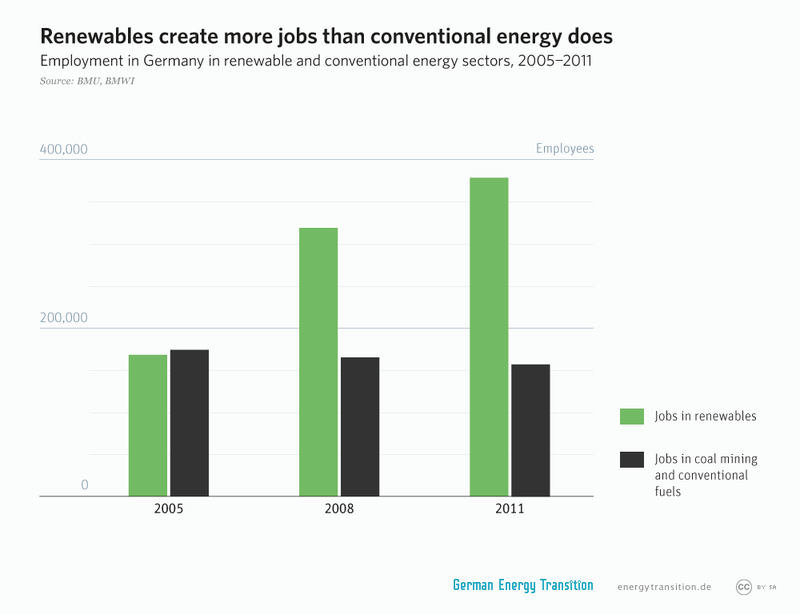 One reason why renewables have such a tremendous positive impact on net job creation is that renewable power directly offsets power from nuclear plants, and very few people work in those sectors.